Try us, you’ll love us. Yes, love us! We are different. We are a national firm, but we feel local no matter where you are. The quality of our work is outstanding and our prices are always below the industry average. We return your calls and emails promptly. We give you secure online access to your case files and notes— so you can always see up to the minute details on your case. We are a dynamic law firm with five distinct divisions to serve you. It all started with RecordGone.com. This division’s innovative operating model and use of cutting edge technology helped establish it as the nation’s leading provider of post-conviction relief, including criminal record clearing and rights restoration. Since its launch in 2006, the RecordGone.com division has helped nearly 10,000 people— as well as winning cases that helped define the law. RecordGone.com provides the highest quality results for our clients at amazingly low prices. Our emphasis on always having above and beyond client care has earned us “A+” ratings from the Better Business Bureau for seven straight years. H&A Litigation is our “full service” division, following the more traditional law firm model. Our amazing attorneys in this division handle a wide range of legal issues— from criminal defense, to labor law, to civil litigation. Clients of this division always get top quality representation and personal service, at prices that are typically 35% below market average. Our immigration division, now in its third year, has already helped more than 750 clients. The division is based in Orange County headquarters, but is able to provide outstanding service to clients nationally and even internationally through our website, ImmigrateFast.com. No matter where you are in the world, we are able to assist you with your immigration needs. Our copyright enforcement division has helped hundreds of copyright holders enforce their rights. While we are experts at settling cases prior to litigation, we have an outstanding track record of winning court cases, obtaining judgements and collecting on them. Making you love us is part of our mission. We can meet almost any legal need, and if for some reason none of our four divisions can help you, our skilled attorneys will be happy to provide you with an excellent referral. If you would like to have a free consultation with one of our attorneys, please contact us today. Mr. Higbee founded Higbee & Associates in 2006. Prior to attending law school at the University of Utah in 2002, he gained 15 years of diverse professional and business experience that included working as a senior campaign and legislative consultant in national politics. 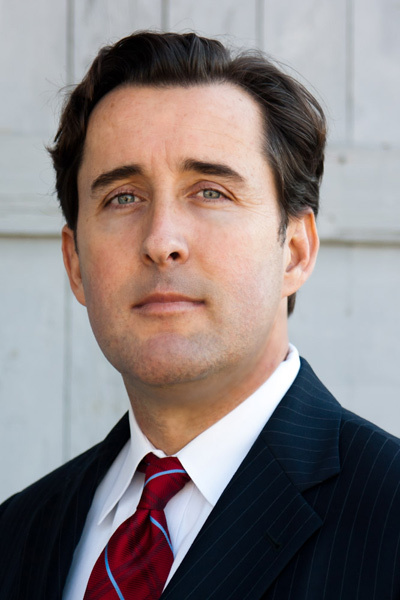 He has successfully represented clients in 7 states, including criminal, civil and appellate cases. His first appeals case was a unanimous victory that was published by the court and now provides guidance on one of California Penal Code's most frequently used sections. He is also a frequent commentator for regional and national media.